Lovely to see a publisher being so positive and supportive of a debut novel, and hurrah for the giant train station posters! Yes, absolutely, I’m so lucky and yes! posters as big as a bloke! Wow! Don’t forget that as well as being made the wonderful Sainsbury’s Book Club selection the Night Rainbow has also been selected for Tesco’s new New Talent slot. And of course the book will be available in promotions with WH Smiths high street stores as well as their train station and airport stores. And of course Waterstones too. As well as plethora of wonderful independent book shops and online retailers. Not forgetting the ebook either…. Wow, that’s rather a lot! Happy publication day! Thank you Inez! You’re absolutely right. I’m going to integrate your comment into the main post. It’s been such a madly wonderful day it’s hard to keep up! Claire, its really fantastic! And richly deserved. 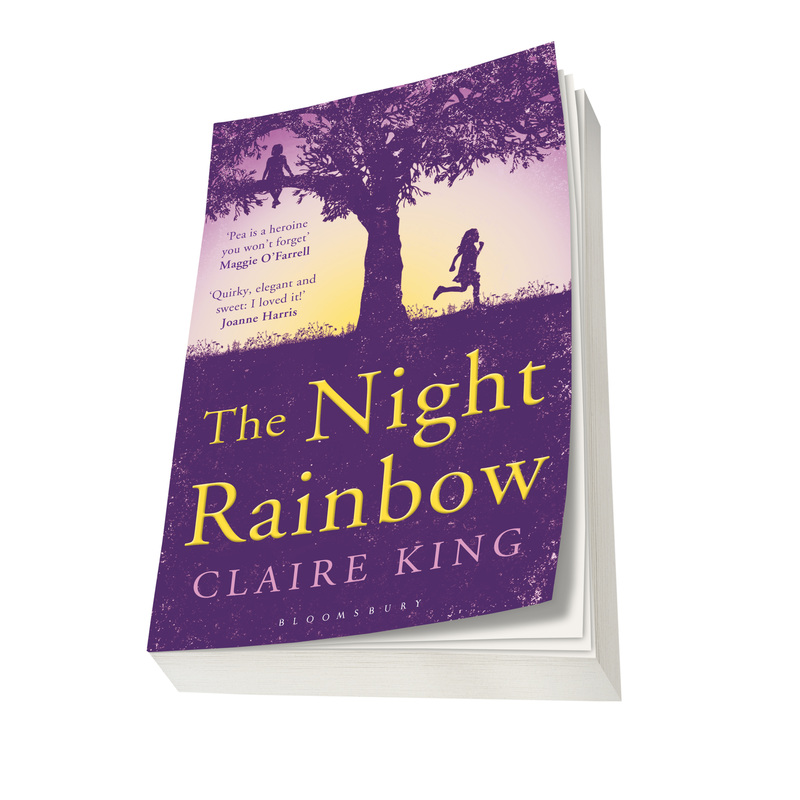 The Night Rainbow is such a beautiful book… but I must stop saying that or people will think I’m getting paid to! May it continue, me dear… I hope it goes from strength to strength. Thank you, lovely Vanessa! And congratulations on finishing your new book. Can’t WAIT! I think your marketing background helps. Delighted to see Bloomsbury putting so much behind it as well. It’s a lovely book and deserves it. Thank you, Pete! There’s a lot of hard work and dedication going in to helping The Night Rainbow succeed right now. It’s at times like these you can really see the teamwork at the publishers and what they can achieve. I follow your journey with The Night Rainbow with interest, hoping that some day I might find myself on a similar one… how exciting it must be to see the posters at stations and such-like! I’m glad everything’s going so well – and it’s very well deserved. It truly was among the best of my recent reads.